Varna Eye now produce several wonderful walking tours of Varna, showing some of the ancient buildings, architecture and articfacts, to be found within. Early morning scenes around the Cathedral in August getting ready for the days tourists. Toy Town is the favourite shop for young and old. Every day in Toy Town is a child's dream comes true! Walking into Toy Town is an amazing experience, there is a feeling of a whole new exciting, dazzling world! 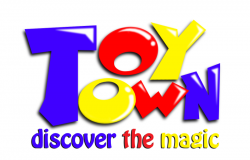 Toy Town - Discover The Magic! 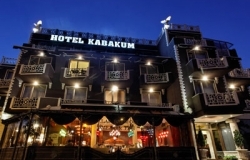 Hotel Kabakum is s lovely jewel located in Alen Mak region between the resorts St Konstantine & Helena and Golden Sands. The Hotel International in the resort of Golden Sands, located 15 km north of the city of Varna is famed for its golden sand and long wide beach. 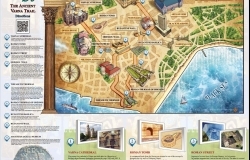 "Varna Ancient Trail" guide is also still available and will conduct you through the streets of Varna beginning at the Cathedral and leading you around many of the super points of historic interest and ending up at the Archaeological Museum and its pot of gold! 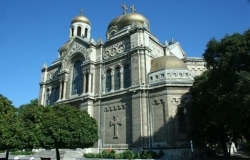 Brochures are available from: Taxis, Tourist Information Centre (Opposite the Cathedral), many hotels including The Black Sea, The London, The Grand and many more.